IT infrastructure architects have for many years been seen as the gatekeepers to efficiency, security, resilience and longevity for any IT operation. However, recent years has seen something of a demise given the introduction of software defined storage and hyper-convergance technologies, and their adoption by the mainstream. 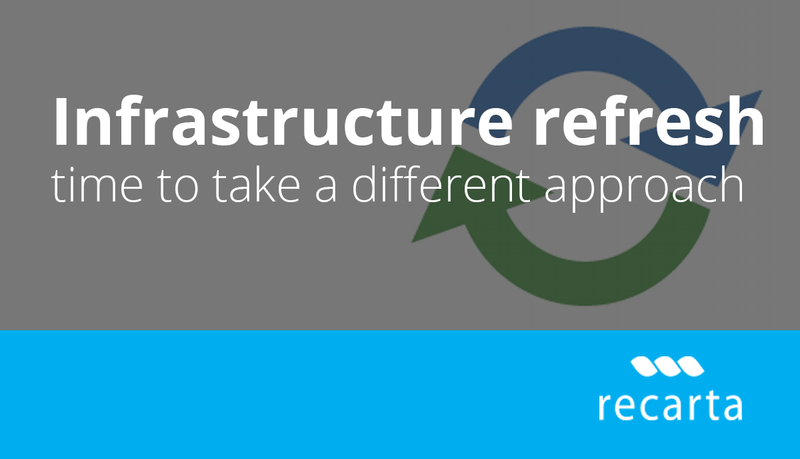 So what roles do IT infrastructure architects play in the future? For many the need to refresh server hardware calls for a complete evaluation of all legacy hardware, whether in license and support or not. This holistic approach to evaluation can produce surprising cost saving and all round efficiencies that a straightforward renewal will never provide. An added benefit of holistic evaluation is a more scalable, future proof environment that better suits the changing needs of a business. As we know, it’s important for every organization to remain agile and for it’s infrastructure to cope with the extremes in demand. For this purpose, an all round approach to infrastructure design can offer a better perspective for a longer term solution. As great carpenters throughout time have said “measure twice, cut once”. Infrastructure has evolved significantly in the light of software management layers. Software defined storage can literally half the cost of traditional data center storage, with the knock on effect of significantly reducing power consumption and environmental impact. Hyper converged environment augment virtualization, storage and computing hardware into a single resource that can be monitored, provisioned and scaled to meet the changing needs of an environment on a daily basis. This software layer approach to infrastructure is giving system administrators greater control over their domains and an ability to react to increasing demands brought on by ever increasing data and storage consumption. As the pressure on organisations builds to not only demonstrate profit or value for money, but also a display a reputation for responsible behavior; the efficiency of software defined technology will be enforced by those commercial minds outside of IT decision making. IT procurement was once an easy exercise of user based licensing. Today, things are more complicated. Hosted server licensing, call based licensing, on premise licensing the permutations of end user licensing are endless in how they interact and where they sit. Given this, it’s important to understand your licensing commitment before you scale, ensure your procurement journey remains commercially viable before you start to scale. Size any proposed design for resilience as well as cost. We might not all agree that AI will take over the world, some are starting to take tentative steps into areas where machine learning could improve/ automated their business output. Stories are already starting to emerge of algorithms outperforming agronomists just as they did share traders years ago. As these stories share there’s no doubt we will see an increased appetite from business DM’s to trial. This will place sever demands on any normal environment given the scale of information and computing any machine learning needs to get up and running let alone the real time power that is needed to compute with accuracy. So the final word. Good IT architects are more valuable now than they have ever been. They might still be socially awkward as they talk to you whilst looking at their feet, but when they are on top of their game, they can save you a fortune as well as your reputation and for that we salute them.